What I take most from this complete revision of the Dekalog is that Kieslowski never truly left documentary cinema. While the films in this series are, of course, fictitious, penned by Kieslowski in collaboration with Krzysztof Piecewicz, these stories are a way of examining the truth of human emotions, relationships, and intuitions without being limited by the obvious restrictions which exist in documentary filmmaking. For Kieslowski, documentary filmmaking had become overly “intrusive” to the point where capturing the real meant inserting yourself into the story. He felt that by straying afield, but observing real stories as inspiration, he could challenge these restrictions and discover that kernel of truth he’d been looking for. Frankly there’s no real access for a documentary filmmaker to truly capture a love-making scene, a breakfast conversation, a birth, a death, a transplant, etc. without at once altering its veracity through one’s mere presence. The seemingly incidental aspects of human relationships, such as mannerisms, tone, the space of emotion which exists invisibly between people–these things cannot be captured by the camera itself. But to use film as art, as artifice, and to engage with truth by portraying these intense moments of depression, of tragedy, of pain, of loss–these moments deemed too intrusive to document–this is what Kieslowski mastered with his Dekalog. I will limit ratings of this Cinematheque review to newly discovered details of each individual episode. 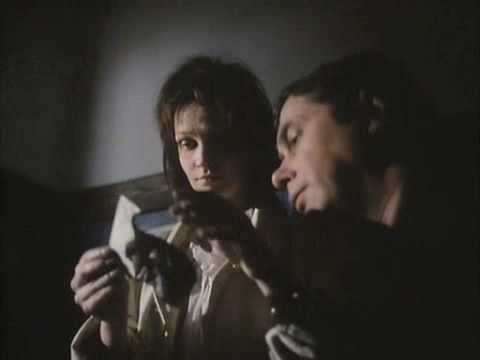 For the first time, I will attempt to rate and rank the episodes individually, though I hold fast to the idea that the series is much greater than the sum of its parts and that under normal circumstances the Dekalog ought to be examined as a singular work. The spontaneity found in the child actor of Dekalog I makes it one of the more engaging episodes. The unfathomable ink spill draws doubt in the most resolute of scientific thinkers, evoking the presence of an inconceivable figure. Is it God? Bearing her ‘Sophie’s choice’, the episode finally draws on the dramatic weight it tends through aesthetic means. Kieslowski shifts from a spiritual rumination to a moral one, presented with subtlety by the luminous Aleksander Bardini (No End, The Double Life of Veronique, Three Colors: White). The dripping faucet remains a Kieslowski favourite. The Three Colours: Blue resembling editing of the final sequence, with all its emotive music and panning between sets, has become a new favourite. Previously and currently my least favourite episode, Kieslowski presents an overwritten, though relatively well executed, tale of infidelity and poor romantic timing. Feelings of lost solace rise on a day of supposed devotion; a lonely woman seeks her scorned lover for constancy in spite of his current affairs. Polish legend Janusz Gajos (Three Colors: White, Interrogation) is movingly understated in his role as a conflicted father accepting but unresponsive to his mixed feelings for the daughter that never truly was. A scintillating look at an unusual father-daughter relationship and what it reveals about platonic love. Two acts of murder, one legal and thus absolved of sin, one unforgivable. Kieslowski draws on the hypocritical function of social laws, relationships, and power. The state as an ideological construct transcends the individual’s responsibility to preserve life, yet itself is a machine created by individuals. Barcis appears twice, once with disapprobation and twice with concern. The unyielding grief which tends a boy’s death makes monsters out of men. Slowomir Idziak in one of his greatest roles as Kieslowski’s DOP. The most somber episode. With its understated visual design and hypnotic score–one of Preisner’s best–the film abounds with sensuality and evokes most plainly the provoked vulnerability of unrequited desire. With sparse dialogue, Love expresses the most while saying the least. From joy to tragedy it captures the most profound of human experiences. Each episode presents something that appears right yet seems wrong and appears wrong yet seems right. There is little subtext to VII; it is the most obviously written. A mother’s right, what might seem a priori, challenges the contextual right. Borne is the conception of the “greater good”. How can there be an absolute? Time passes but wounds never truly heal. Effects on the sub-liminal become behaviours of the conscience. Understanding serves therapeutic ends, tearing down walls built for security which instead suffocate. Perhaps the most somber and unassumingly cinematic of the series, with Piotr Sobociński’s (Three Colours: Red) camera splitting the frame into narrow channels of obscured sight–a formal move which well conveys the tunneled vision of desperate love. Cool tempered, understated, and the first instance of “Van den budenmayer”. Of all episodes, this one raised the most on second viewing, and it continues to resonate strongest of this re-view. A black comedy with dry humour and notable performances. By Kieslowski standards, this episode is downright entertaining, from the walkman at the funeral to dog interactions to the nurse copping a feel. With less camera movement, medium shots, and shorter takes, X feels breezy in comparison to the rest–most like an episode of television. It provides relief from the weight of the series without at all sacrificing a devotion to strong, realist storytelling. I didn’t before notice that the deceased father is the incidental character in Episode VIII who keeps talking about the Polahrfart; now I understand that his trivial ramblings were not so trivial after all. 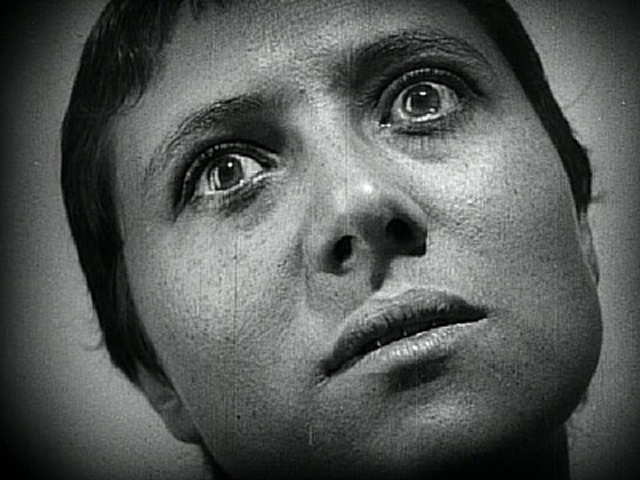 This entry was posted in Miscellaneous, Reviews and tagged Aleksander Bardini, Art, Art Cinema, Artur Barcis, cinema, dekalog, Documentary, film, film series, intuition, Janusz Gajos, Kieślowski, masterpiece, metaphysics, Pacific cinematheque, Poetry, poland, polish cinema, Religion, retrospective, revision, The decalogue, three colors trilogy, Zbigniew Preisner. Bookmark the permalink.